More than a decade into their career, Sunderland-based sibling-act Field Music have more than earned the title of one of Britain’s most consistently brilliant bands. We caught up with Peter Brewis prior to the release of their seventh album to discuss how parenthood, Brexit and a spirit of a defiance helped inform the expansive Open Here. It feels like you’ve barely taken a break between your last album, Commontime, and Open Here. Tell us about the project you worked on for the Imperial War Museum. Yeah, it was the soundtrack for 14-18 NOW, for a film called ‘Asunder’, about the North East in the First World War. The people who were organising it wanted it to make it a big collaborative thing, and the artistic director was Bob Stanley from Saint Etienne, and he’s a writer and broadcaster as well. So he wanted to set up a collaborative project where we made this film and the music at the same time, and we collaborated on the music with a band called Warm Digits and the Northern Symphonia. 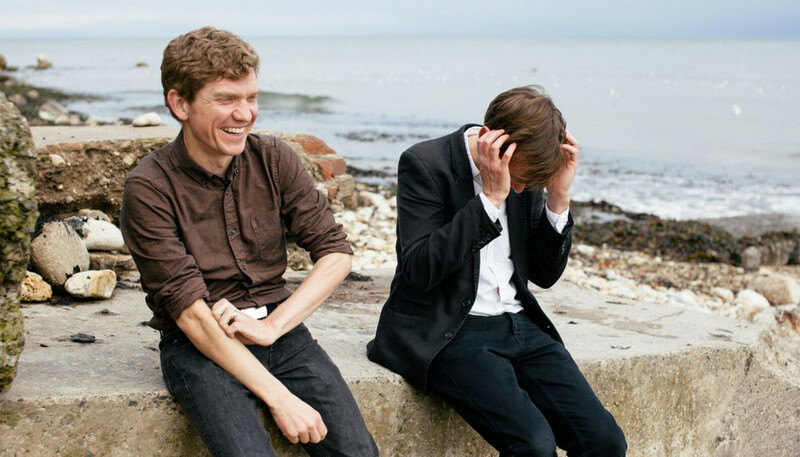 Did you take anything away from the project that’s inspired Field Music? Yeah, probably just in making the new Field Music record a little more expansive, in terms of the sonic palette that we used. We got the strings more involved, we got woodwind and horns. So, yeah, we were more confident about making it slightly more orchestral in places. The whole spirit of the album is to try to have fun in dark times; trying to be defiant. We spoke to David a couple of years ago, and he cited a motivating factor for Commontime being that you wanted to do some songs with choruses that your kids might like. Do your children approve of the new record? (Laughs) I don’t know. I haven’t even shown it to my son yet. He’s four and a half. He’s going through his second David Bowie phase so he’s not really listening to anything else. Wow, that’s pretty young to be going through your second Bowie phase. Well, yeah. It’s starting to get on my nerves a little bit now, actually. But that’s what he’s into. So whenever I see him that’s what we listen to, in the van. In terms of David’s kids, David’s used his son’s keyboard to record most of the song ‘Count It Up’ which is probably why musically it sounds a bit silly really. And also Dave’s son, Will, doesn’t really like anyone else using his keyboard, so we had to record it without him knowing about it. (Laughs) But he’s three so he’s allowed to be quite protective over his toys. You mentioned you’re exploring a more expansive sound in your arrangements. What were your motivations for that change? The other aim was to make it concise but to push it in a number of different directions at the same time. One was the orchestral direction, the other was a song like ‘Count It Up’, which I think is the first song we’ve ever done where there aren’t any guitars on it whatsoever. So it was just trying to push in a few different directions at once really and see how varied we could make the record, but still make it coherent. Can you tell us about some of the players you got involved? Yeah, well that was the other thing: we wanted to try to get more people involved because we knew it would be the last time we got everyone in our current studio. And we’ve met loads of great musicians over the years. There’s Liz, who joined the live band for Commontime, and we enjoyed singing with her so much that she sings on three or four songs. There’s the flautist Sarah Hayes, who played with us on ‘Asunder’, and the saxophone player Peter, who also plays with Mary Epworth. He did the solo on ‘The Noisy Days Are Over’ but we realised we should have done a bit more with him. So, yeah, we tried to make it a communal atmosphere and fun. And I think the whole spirit of the album is to try to have fun in dark times; trying to be defiant about all the sh*t that’s going on. ‘Count It Up’ feels like the most overtly political songs you’ve ever written. It’s a list of privileges, and tackles the idea of ascribing your financial situation to your talents and not to the wider economy or the government, right? Are we right in thinking that Brexit inspired some of the events on this album? Yeah, for David definitely. I don’t think he would have written ‘Count It Up’ were it not for Brexit, because one of the reasons that we’re going to leave the European Union is because people think that they should be doing better, and that we live in a sh*t country now because of the EU. We don’t live in a sh*t country. This is not sh*t. Of course, it could be better – it could be better – but we shouldn’t assume that we live in a terrible place. There are many, many more places that are much, much worse. So really I think it’s a privilege to live in this country, and it’s a privilege to be in the EU. That’s what I think. So anyway to answer your question, yes: leaving the EU was a part of making the album. I think it had to be informed by it but it’s about how do you talk about these things without being really cheesy about it? Or how do you talk about these things but still have a sense of humour about it? What other ideas or themes do you see running through this collection? I think family and parenthood are still big things. Songs like ‘Find A Way To Keep Me’ and ‘Cameraman’ are about wider global events, but I couldn’t have written them at all without thinking of them through the eyes of my son. You know, when you see kids being thrown onto a train in Syria by their parents to get out of a war zone, just to get them to safety? And they’re never going to see them again... That’s just a pretty incredible situation and you think, “God, could I do that to my four-year-old son?” Could I do it? I don’t know. Can you tell us more about the title track, and why it resonated as a title for the whole collection? Well, the title was probably a joke. You know in a Travelodge where you see the beer bottle opener with ‘Open Here’? I remember just thinking that’s so funny that every Travelodge room has a bottle opener because they know their clientele very well. So I think I’d written that down and then I couldn’t really think of anything to do with [the phrase] for years until I was thinking about old friends. And you’re embarking on a short tour with an orchestra next? Yeah. We were thinking about it like Van Morrison’s Caledonian Soul Orchestra that he had, which has a string quartet and a horn section and wind instruments, like a big band. And that’s how we’re approaching it. So it’s gonna be 13 or 14-piece band. 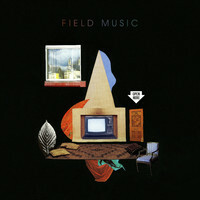 What’s next outside of Field Music? So I’m working on an album with Sarah, who’s playing flute with us, and she’s in a band called Admiral Fallow, from Glasgow. They’re an orchestral indie band, so we’re doing some kind of folk-rock thing but I think there would probably be Field Music elements in it as well as Admiral Fallow elements. I’d like to think it was in the lineage of the Fairport Convention, but we’ll have to see about that. So yeah, that’s it for now. I think we’re going to be busy with Field Music for quite a while.